The first day of March in Bulgaria is known as Baba Marta which translates as “Grandmother March”. On that day, people start wearing martenitsas (the name comes from the Bulgarian word for March – „mart“), throughout the month until the wearer sees the first signs of spring – either a swallow, a stork or a budding tree. 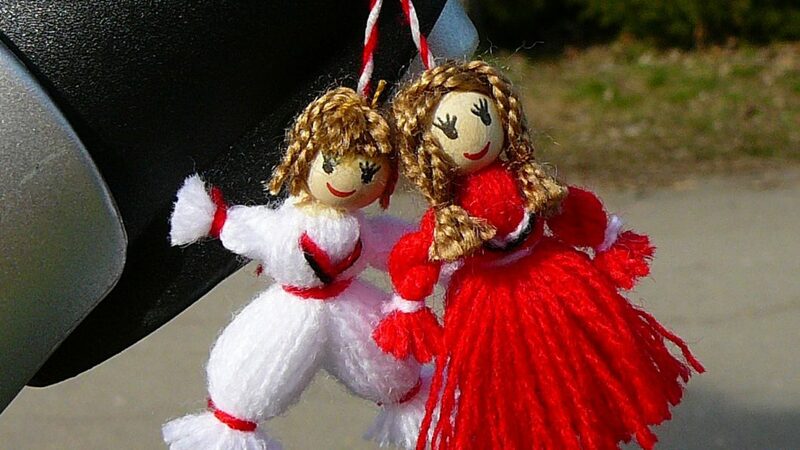 A martenitsa is a tiny piece of adornment, usually in the form of a band wrist, composed of white and red interwoven yarns typically in the form of a male and female dolls. The two dolls are called Pizho and Penda. As you have seen from the cover photo, Pizho is predominantly in white colour, while Penda, the female one, is a proud owner of a (red) dress with white hints around her hands. The red and white yarns are a symbol of blossoming health. Red symbolises life while white characterises purity. This custom represents the equilibrium between life and death, happiness and sorrow, good and bad. Following tradition, martenitsas are always bestowed and not purchased for oneself. People give these pretty adornments to friends, family or beloved ones. Some of them are pinned to the clothes, other are worn as bracelets on the wrists or around the neck. They are worn until the bearer sees a swallow, a stork or a budding tree. Then he/she has to take off the martenitsa and tie it to a tree that is blossoming so that it is also healthy and, as a result, will bear more fruit. There are more than a couple of legends about the very origins of the Bulgarian martenitsa. All of them stem from the founder of the Bulgarian state – Khan Asparukh. According to some folklore stories, Khan Asparukh received a gift from his sister – a medley of flowers tied to the leg of a bird thanks to a white thread. The red colour came from the bird’s blood because its leg was slightly injured from the thread. It is believed that the swallow came to Khan Asparukh exactly on March 1st. This is how the tradition of martenitsa exchanging commenced. The tribal chief of the Bulgars (Proto-Bulgarians), Kubrat, called all of his 5 sons and told them to never separate from each other and to always stick together – to be strong as a whole so that their enemies cannot enslave them. Time passed and the Khazars attacked the Bulgars. As a result, they captured Kubrat’s daughter – Huba. The Khazar chieftain made an offer to the Bulgars. They will admit he is their leader and he will release Huba and their lands. Tough challenge. The eldest brother – Bayan – recognised the Khazars and stayed with his captivated sister. All his other brothers embarked on a search of a new land for their tribes. One of them went north, the others – among which Asparukh – went south. Before the brothers separated, they had a secret huddle at which Huba and Bayan decided to stay with Khan Ashina until the others find a free land. Asparukh promised to send them a bird with a gold thread tied to its leg – a sign that they should flee. The brothers hit the road and left Bayan and Huba in captivity. After some time, a dove with a gold thread on its leg flew inside Huba’s cell. As planned, Bayan and Huba escaped the evil khan and reached the waters of the Danube. However, they did not know how to proceed. Only the bird was able to show them the way, but they had no idea how to get to the other side of the river. Bayan produced a white thread which Huba tied to the leg of the dove. She released the bird to fly and guide them, but at that point Khazar pursuers appeared and began shooting. Bayan was struck by an arrow and the tip of the thread, which he held in his hand, reddened with his blood. In this moment, Asparukh appeared on the other bank of the river with his soldiers. The Khazars saw him and his gigantic army and gingerly ran away. Asparukh helped Huba and Bayan to cross the river. He took the thread from Bayan and tied its white end with the red one. He also put a piece of this sacred adornment on each of his soldiers. Then he stood before his army and admitted that his brothers and he had not listened to the advice of his father and for their disunity they paid with their blood. He also added that the red-and-white yarn would never break because that bloody thread will always unite the Bulgarians. Since then, on the first day of March, all Bulgarians wear red-and-white martenitsas that bring them health, joy and unity. Khan Kubrat had five strong sons and a gorgeous daughter named Huba. He bequeathed them to never divide and to protect Bulgaria. Nevertheless, after his death, the sons quickly forgot the wise advice of their father and they were defeated by the leader of the Huns, Khan Ashina. He seized their possessions and took Huba captive. The brothers left to seek a new land and their sister waited for news from them. The good news arrived with the unfurling of spring. It was brought by a falcon. The letter from Asparukh reported that he had found a piece of paradise just south of the Danube River and that he would settle there. Huba fled, led by the falcon, to whose leg she tied a white silk yarn. The bird took her to the new land, but at the last moment an enemy arrow pierced her body and her blood reddened the thread. After Asparukh received the great news that his sister had arrived, he started tearing small threads from the red-and-white yarn and tied them to his soldiers with the words: “The thread that unites us should never be broken. 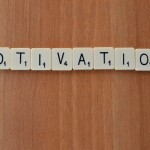 Let’s be healthy, happy, joyful, let’s be BULGARIANS”. It was March 1st 681. 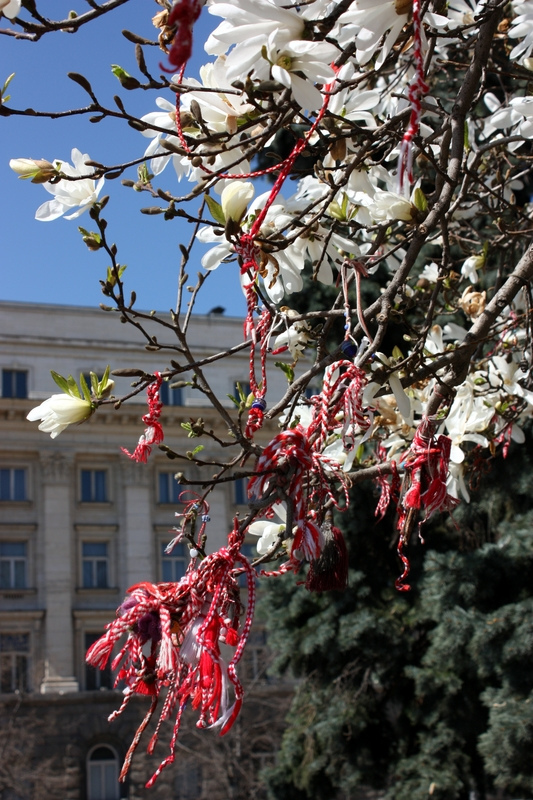 Since that day, the red-and-white thread is the resilient cord that unites Bulgarian into one entity. It is pretty and unique.